Summa, Summa, Summatime! Who’s ready to sit poolside on a hot summer day with a cool drink in hand?? 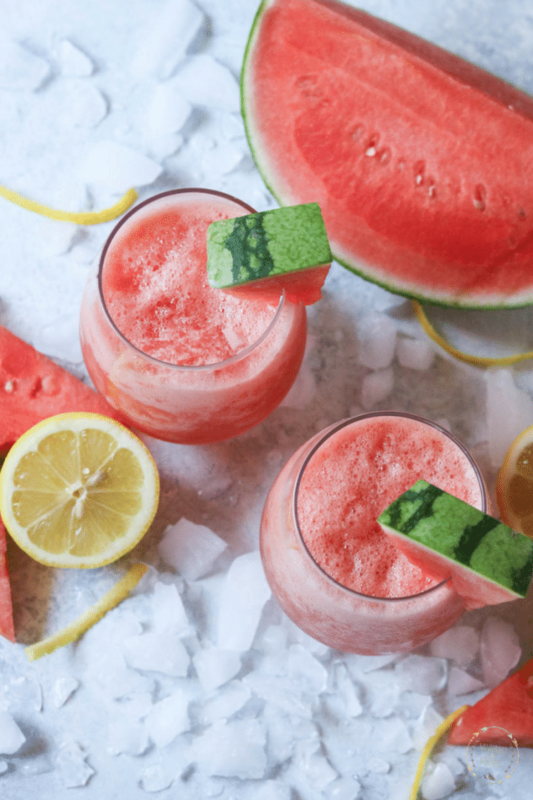 This watermelon wine slush is so fresh, with only 3 simple ingredients. No added sugar other than the wine, fresh watermelon, and a splash of lemon. 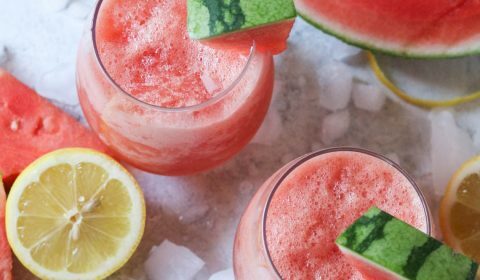 Plus, the seedless watermelons used in this recipe makes this drink even easier to make (no straining required)! I chose wine for this slush because, well, wine is my jam! 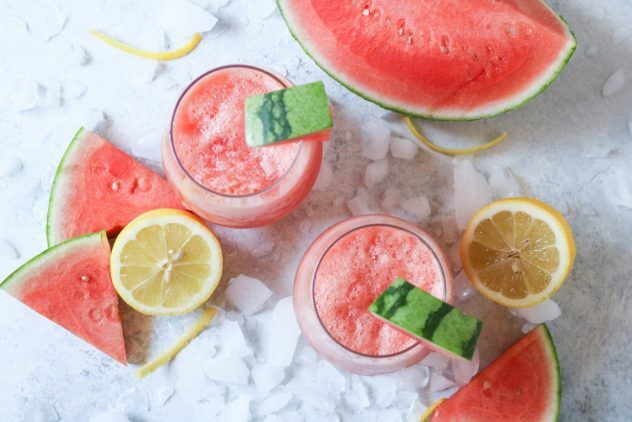 The fresh watermelon captures the true, fresh flavor of a summer melon, plus gives this slush some extra texture. I let the sugars of the pink Moscato sweeten the drink, so no added sugar or simple syrups needed. It truly is a quick and easy summer drink! But for real, this drink is super simple. 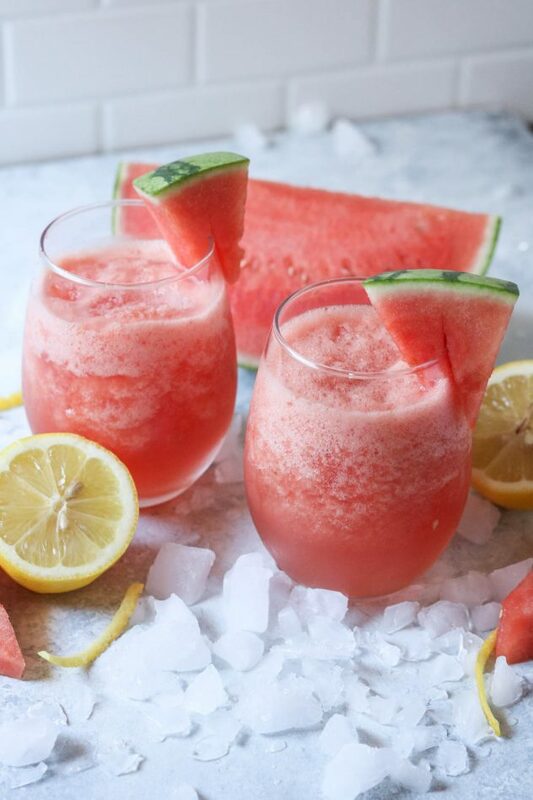 Just add ice, pink Moscato, lemon juice, and fresh watermelon to a blender and voila, you have your watermelon wine slush. If you won’t be drinking the slush immediately, you can pour the mixture into a glass storage container, like these Glass Food Storage Containers. The rectangular shape and the snap and lock lids make them perfect for storing liquids. Pop it into the freezer and take out when you’re ready to serve. 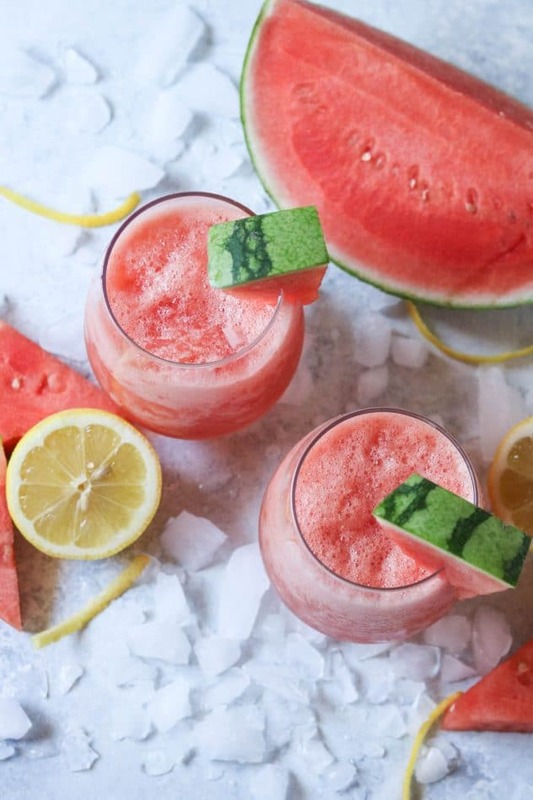 This watermelon wine slush is super fresh and easy to make; the perfect poolside beverage! Cut and cube the seedless watermelon. Serve immediately, or place into a glass storage container and freeze until ready to serve.